Cars and trucks function for vastly different purposes. One is to comfortably and economically transport people from one place to another, the other hauls heavy loads. While a tractor-trailer rig can haul heavy loads, it would fail if driving on rocky terrain. 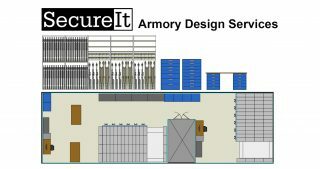 Think of a military armory as an off-road, heavy-duty hauler. 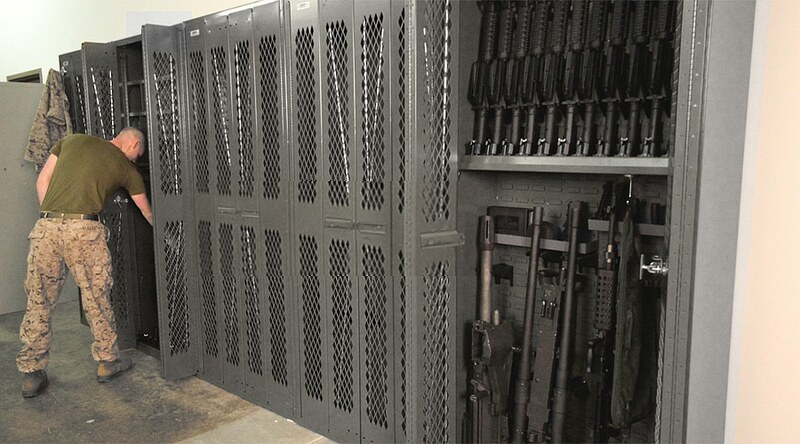 With space at a premium and weapon systems becoming modular, cabinets made with CradleGrid™ technology placed into a movable aisle system provide the additional adaptability and space needed in a modern armory. 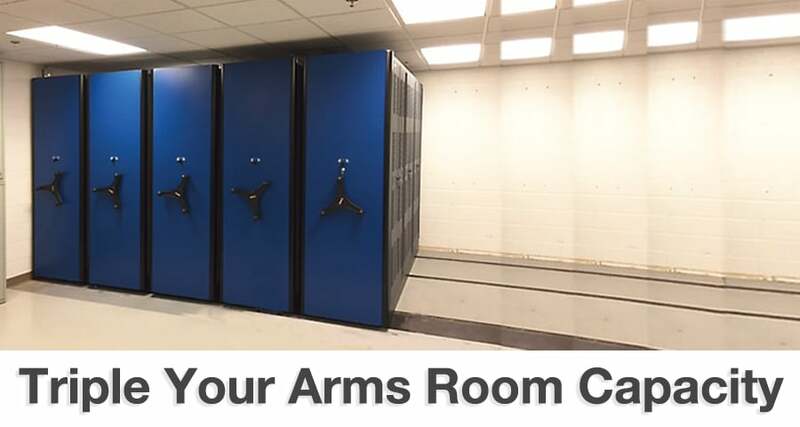 It's a "go anywhere," heavy-duty solution. Decking should be rubber or VCT tile - never uncovered plywood. 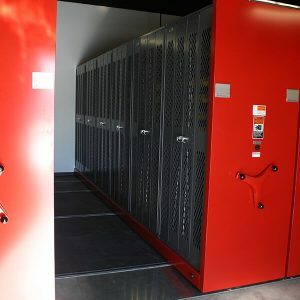 The SecureIt retractable door cabinet is the optimal choice for insertion into the aisle movers, allowing armorers infinite configurations to securely store weapons.